No food that you can’t cook by adding boiling water or wrapping it in aluminum foil and sticking it in a campfire. On the one hand, you’d be surprised what turns out to be delicious wrapped in foil and cooked in a campfire—mushrooms, tomatoes, peaches, spinach—and you get to eat a lot of s’mores and Nutella. * And you gain a real, passionate appreciation for kitchen-cooked food; my field assistants and I can spend hours rhapsodizing about the food we wish we were eating. On the other hand, we make ourselves desperately hungry for pesto and pizza and Homeroom mac&cheese, and then have to eat dehydrated black bean soup. And the food appreciation never seems to last long enough for us to appreciate it when we actually have kitchens. Case in point: I’m at home now, capable of making all sorts of delicious things that I’ve craved while in the field, and I’m having a root beer float for breakfast. *Unless you’re doing really serious, backpacking-type field work, in which case no fresh fruits or Nutella for you! Dehydrated soup all day, every day. That’s pretty rough. I stayed away from OLLA’s nest for several days, as I promised, so as not to scare the chicks into fledging early; but finally I just had to know if they had fledged yet. As I approached the nest both OLLA and ALGE scolded me—but the nest was empty. 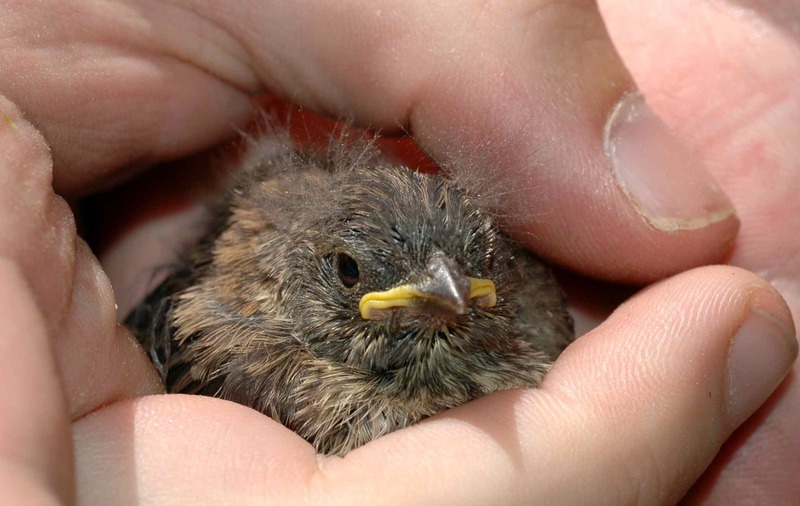 I looked around to see why they were angry at me and caught sight of a fledgling in a nearby tree: BABY! I didn’t see BABY’s siblings, but there were lots of trees around, and fledglings can be cryptic if they stay still. 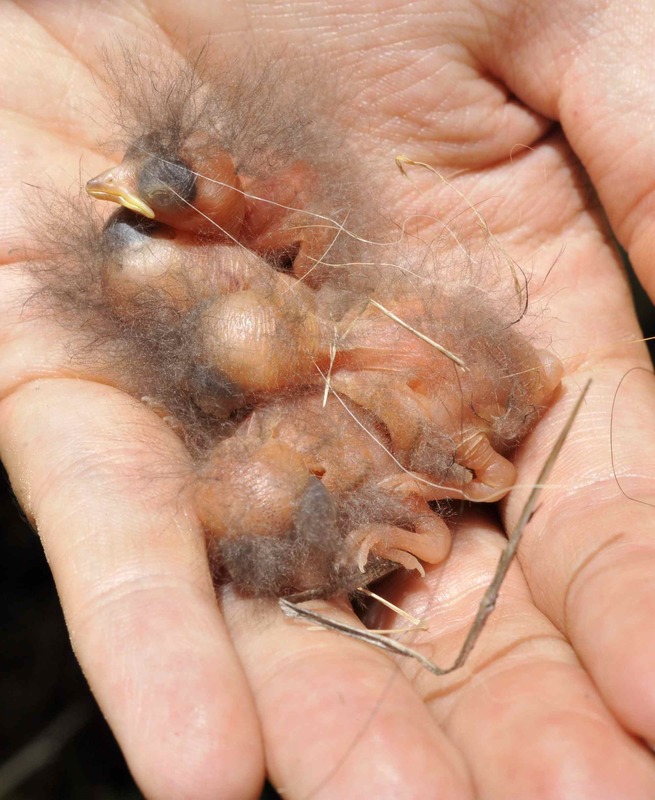 BABY was the smallest of the three so if she is fledged and okay, it’s very likely that YAYN and MAYO are doing well too. YAYN or BABY, from before she fledged. When certain birds (not owls) look out at you from their left eye, they can’t see you with their right eye on the other side of its head. 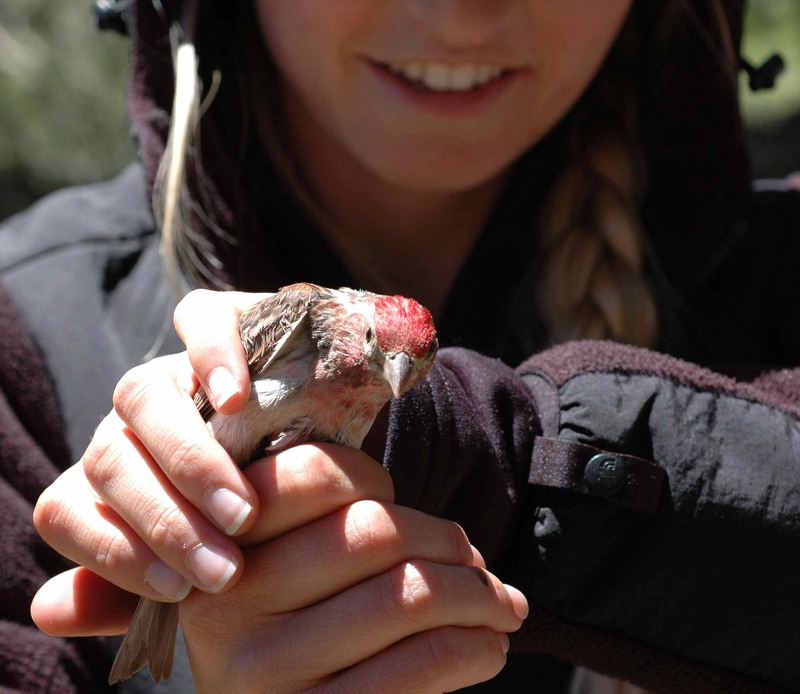 So what do birds with eyes on both sides of the head actually see? Two different scenes? Or some sort of panorama distillation? 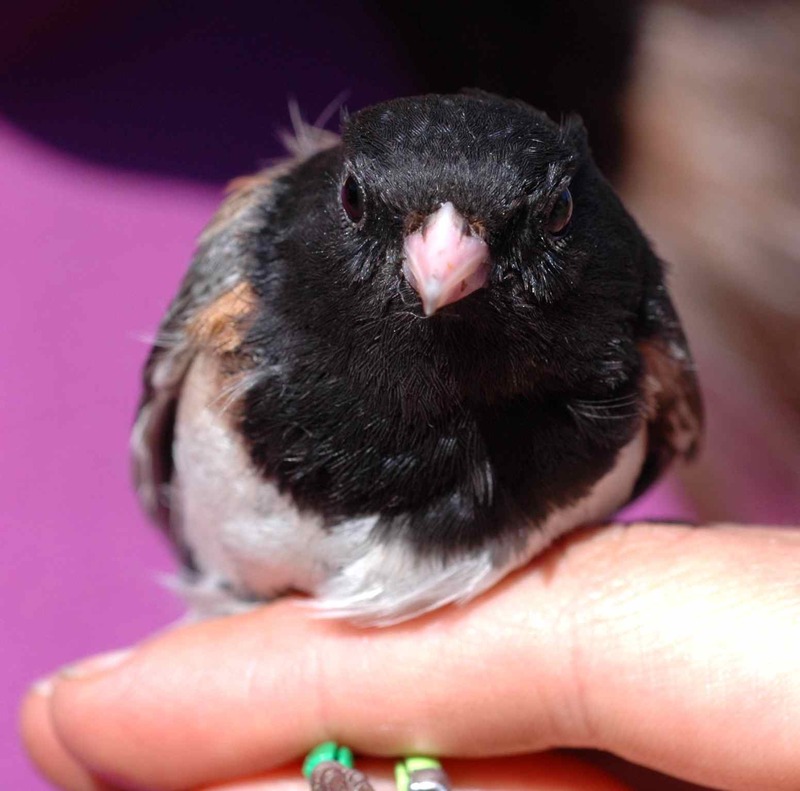 Recently I’ve noticed that people are being referred to Tough Little Birds by searching things like “what to do when junco chicks fall out of the nest”—and, of course, finding this blog totally unhelpful. Whoops! I’m fixing that now.